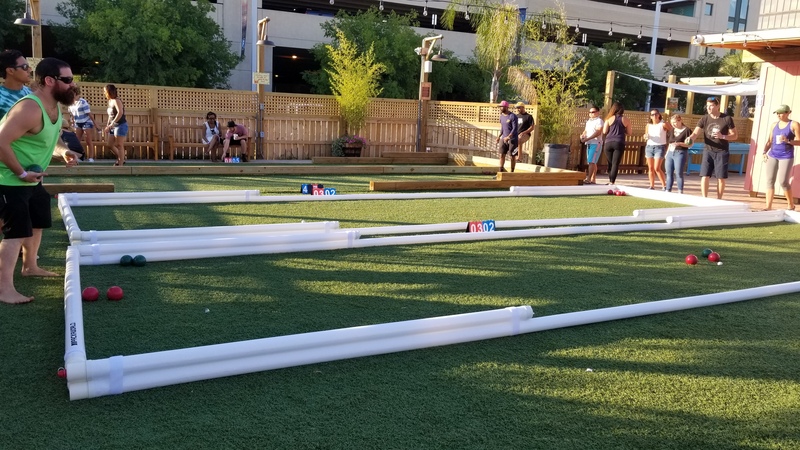 This league plays on grass and clay bocce courts! 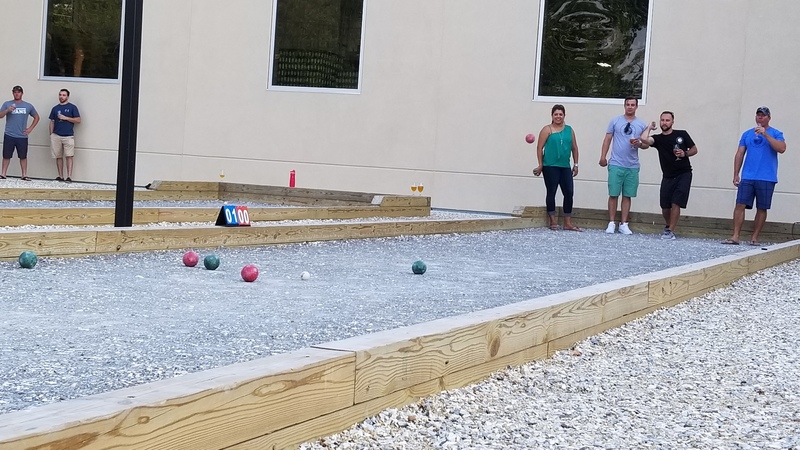 Bocce VBs league enjoys a 6 week season of Bocce Ball including an end of season playoff tourney. Team will play a new team each week. All equipment will be provided, just come ready to play. Teams are allowed to have up to 4 players! Teams may choose to only have 2 players and adding a 3rd or 4th player is optional. Teams must have a minimum of 2 players to be eligible to play. 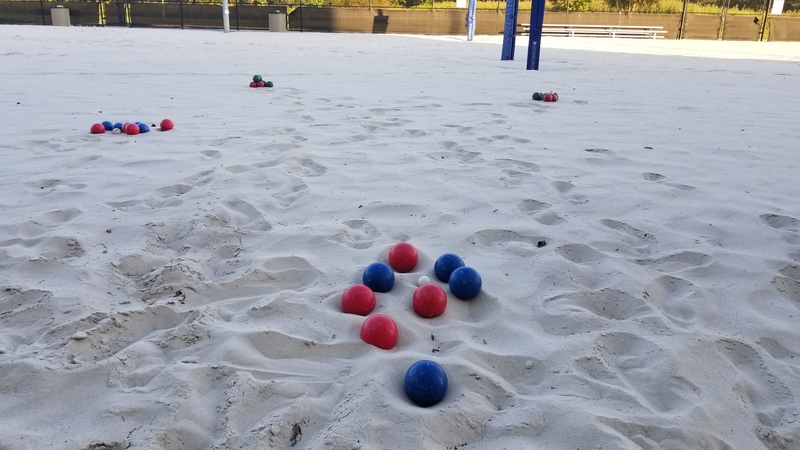 Teams with 3 or more players must play the traditional style of bocce, where two players are at either side of the court and do not walk back and forth to change sides with the game play. Additionally, teams with 3 or more players can not change which side they are throwing from mid-game, if a player(s) choose to sit out a game they can not sub in mid-game. 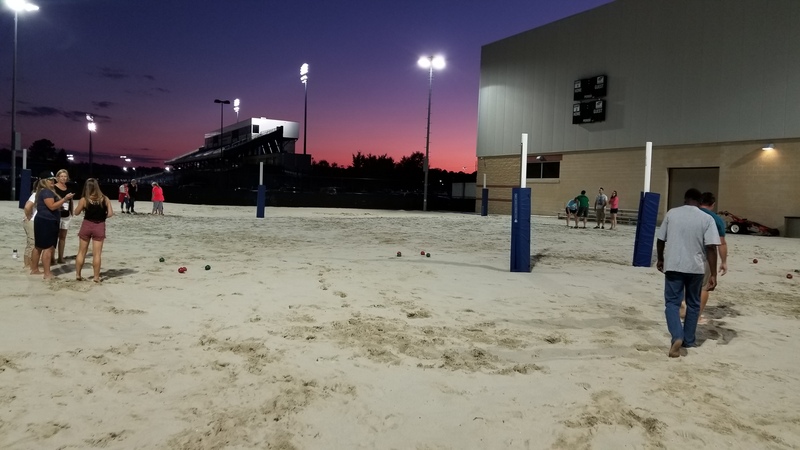 Review the new Bocce VB League Rules on how to play! Each night, make sure to check in with the League Commissioner upon arrival. Game times will be posted online before game day. Please be on time and ready to play each week. A minimum of 1 player must be present to avoid a forfeit during regular season games and playoffs. When you are done with your game, report your score to the Commissioner, and of course keep enjoying some signature crushes while hanging for post match activities. Standings will be updated on the website a few days after games. Note: League Fees include a T-Shirt. This league will be governed by Bocce VB Official League Game Rules & Bocce VB Official League Policy. A regulation match is played best two out of three games, and a single game is to 11 points (number of points played too are subject to change). Matches should last between 20-30 minutes. There will be 4 designated courts for field of play. Any changes to this format will be announced ahead of time by the League Commissioner and posted on the website. All games may be subject to sudden death rules if games over run the allotted time (see league game rules for specifics on sudden death). In the event we need to cancel games due to bad weather, an email will be sent out and posted on the website and Facebook no later than 5:00 PM on game day for cancellation and update for a make-up. All teams will make the playoff at the end of the season. Playoff will be a tournament format and teams position in the league will determine a good or bad play off draw. What do you get for being a bocce champion this season? 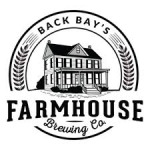 Winners will have bragging rights, a trophy, Back Bay Farmhouse merchandise, gift certificates and other goodies. Good Luck! There is a nightly raffle for a prize. Raffle can either be a team prize or an individual league player prize. Raffle can also be a Winners only raffle or a Losers only raffle. Every-night is different, all you have to do is show up and play and see if your name gets drawn. Never miss an update: follow us on Facebook, Twitter, Instagram and Snapchat. For questions? 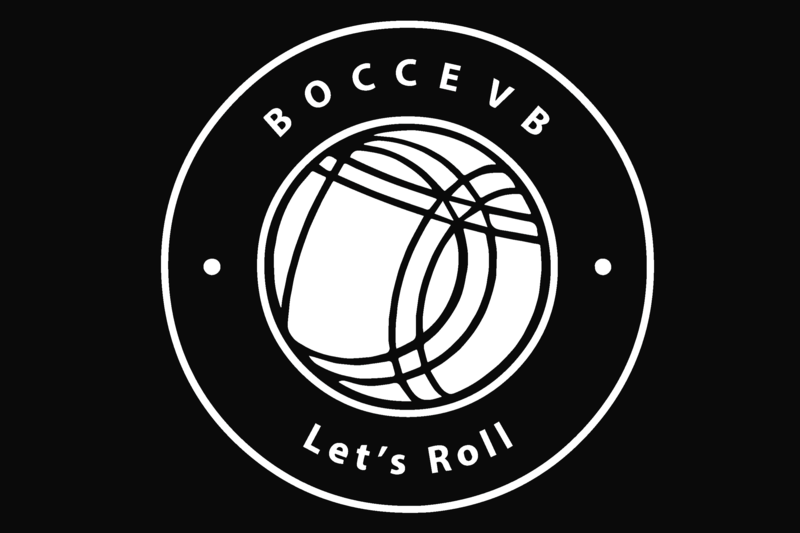 Send an e-mail to letsroll@boccevb.com and we'll get back to you quickly. 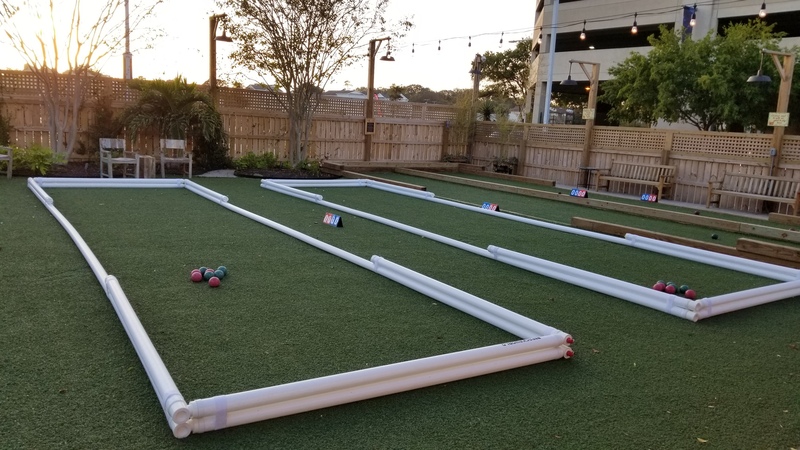 Check out this Bocce league 'Thursday - Bocce at Back Bay Farmhouse Spring' with BOCCE VB!